ASU freshman and March for Our Lives representative, Samia Muraweh, talks with a State Press reporter at the Arizona State Capitol in Phoenix, Arizona, on Tuesday, Feb. 6, 2019. The bill, also known as the Support Our Students Act, was written by high school students from across Arizona with an aim to improve student safety. Among those who attended were Activism For Our Lives at ASU, a chapter of March For Our Lives Arizona. The bill would require the Arizona superintendent of public instruction to create a school safety plan by 2020 for school districts to follow. The safety plan would “provide recognition, initial screening and responses to emotional or behavioral distress in students," including indicators of possible substance abuse, violence and youth suicide. The plan also includes safety training opportunities, potential partnerships with community members who deal with mental health and communication protocol with parents in case of emergencies. The organization held a press conference at the state capitol on Wednesday at which students spoke about their personal mental health struggles and highlighted the importance of the bill. Jordan Harb, executive director of March for Our Lives Arizona and a senior at Mountain View High School, said the bill is meant to address student safety and especially mental health. “What’s different from our school safety program is not about tackling the school shooter who comes on campus, but paying attention to the kids inside and about investing in students,” he said in a press conference at the senate lawn. The bill has bipartisan support, with eight Republican co-sponsors and six Democratic co-sponsors. Republican senator Kate Brophy McGee, who represents District 28 and is one of the co-sponsors of the bill, voiced her support during the press conference. “They’re here with a serious issue and a serious and credible solution to the problems that are plaguing our schools throughout the state,” Brophy McGee said. After the press conference, the high school students split into separate groups to meet with 28 legislators and lobby the bill to their elected officials. Samia Muraweh, an ASU freshman studying mathematics and political science, is the regional director of the national March For Our Lives organization and the vice president of Activism for Our Lives at ASU. She said the bill was written completely by students with the help of state representatives who tweaked the language and formatting. “The first thing we made was the student bill of rights,” Muraweh said. “We had a summit in November from students all around the state … and then from that came the main point of where our organization is going to focus on, the first of which being mental health." Democratic Rep. Daniel Hernandez (LD-2), the prime sponsor of the bill, gave full credit to the students. “I think it is 100 percent a good thing to say that the students were the ones who came up with the ideas, and we worked together to shore up the language so that it would be a format that would make sense,” Hernandez said. Manuel Angulo, a senior at Central High School and an incoming ASU student, said it was important for him to advocate for this bill because the challenges students are facing now are different from those of previous generations. HB2597 has not gone to a hearing yet as it has to be assigned to a committee. Because the bill has bipartisan support, Hernandez said he is optimistic about it passing. “I think with so many bipartisan supporters, we are really excited and hopeful that we'll be able to get it through," he said. "We're just hoping that it'll be assigned to committee sooner rather than later, so we can get it through before the deadline." 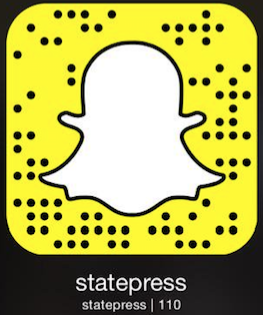 Reach the reporters at wmelhem@asu.edu and mzhao49@asu.edu or follow @wissmel and @michelle_zhao23 on Twitter.